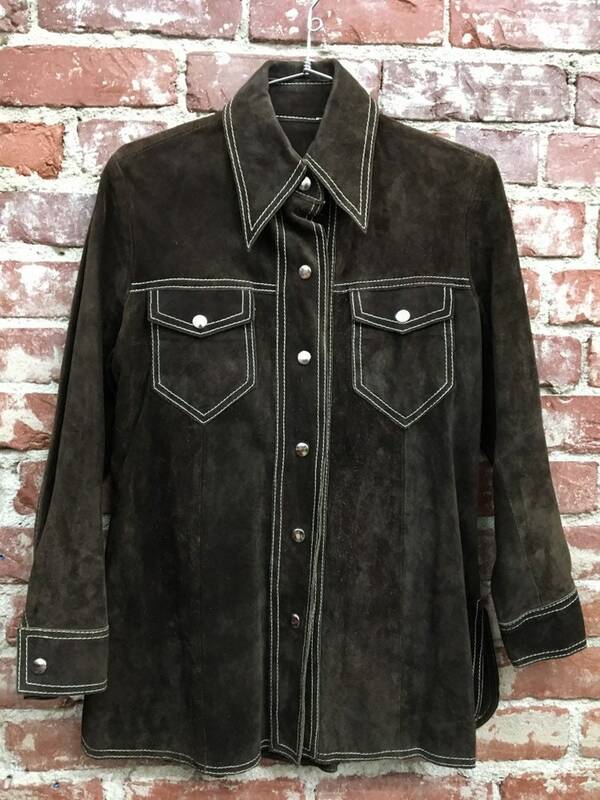 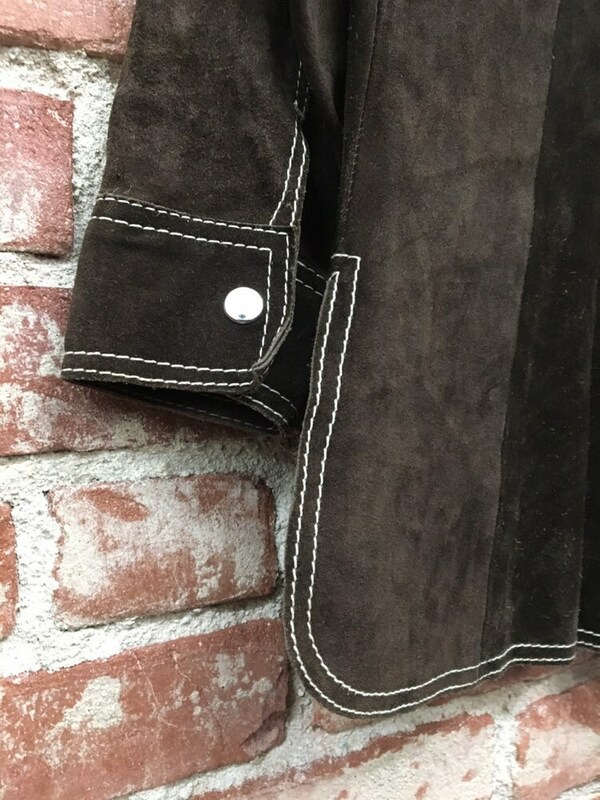 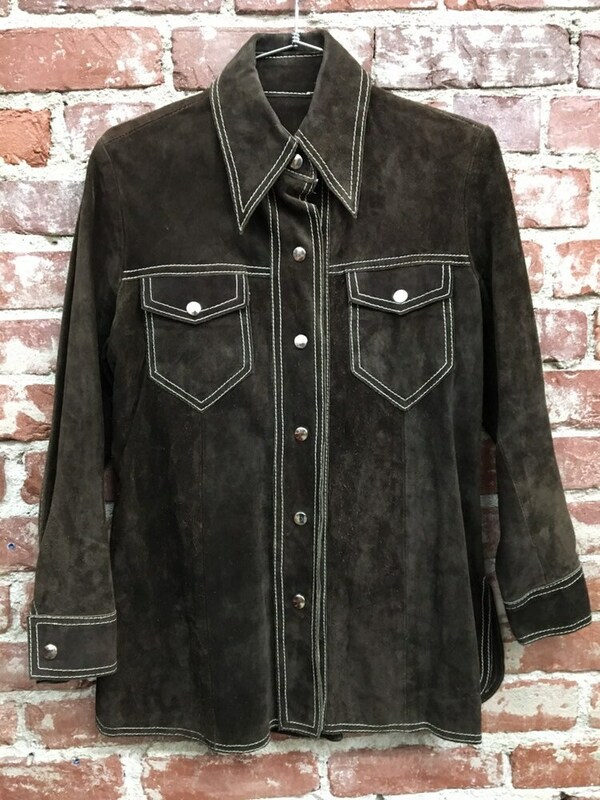 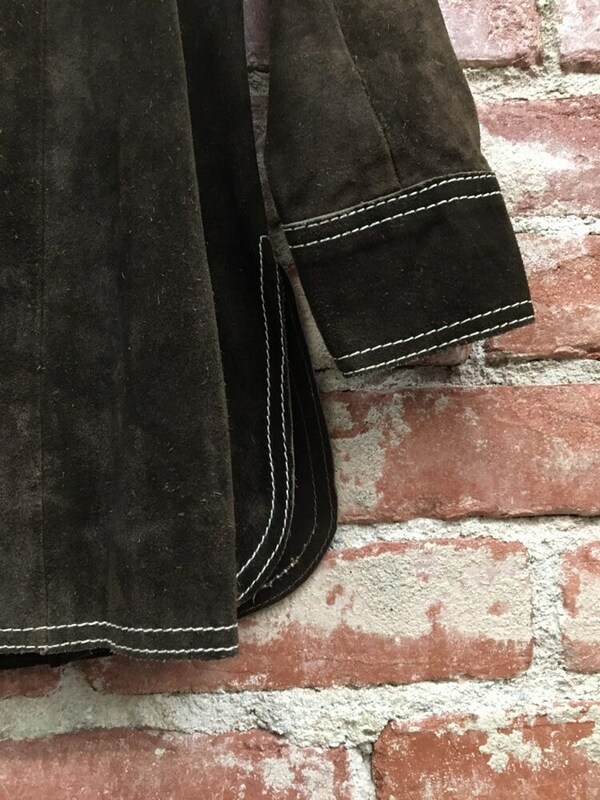 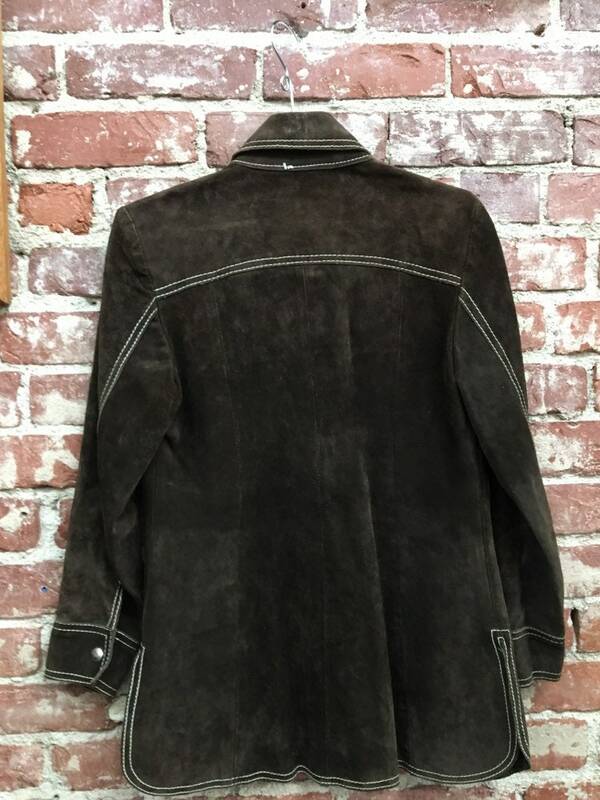 Beautiful men’s seventies unisex espresso shirt cut jacket. 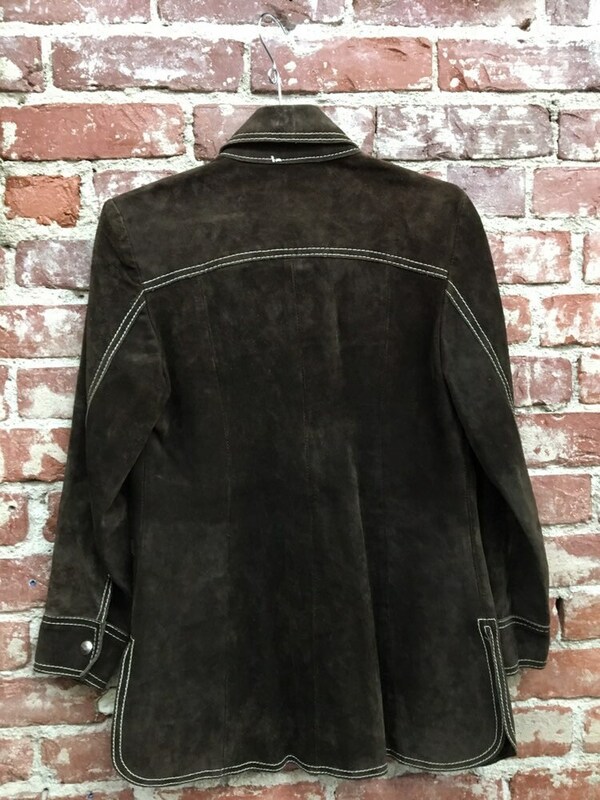 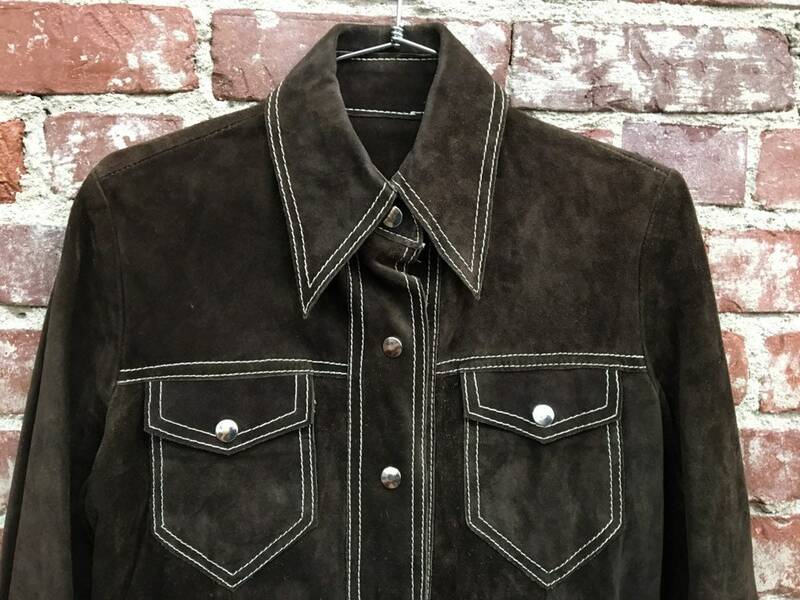 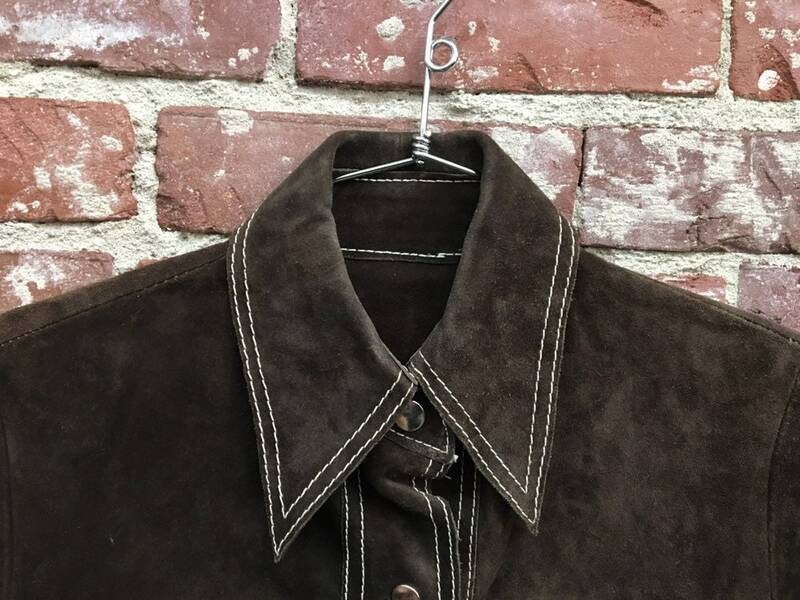 This jacket is beautiful and the suede is in perfect condition. 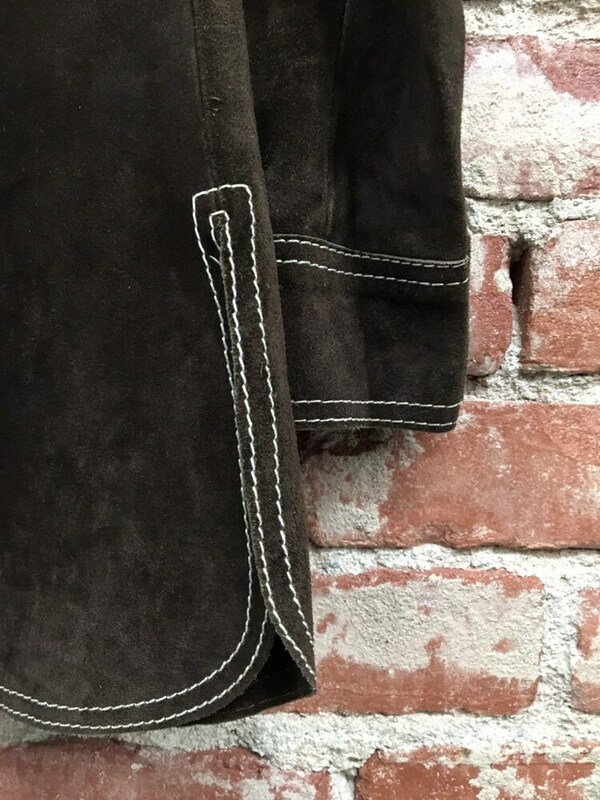 The color is fantastic so is the cut. 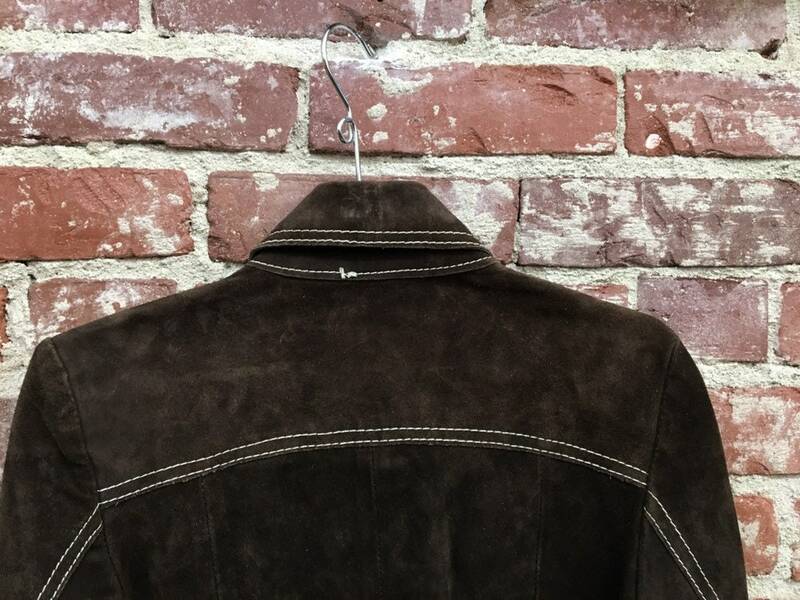 Works with so many pieces in your vintage wardrobe.